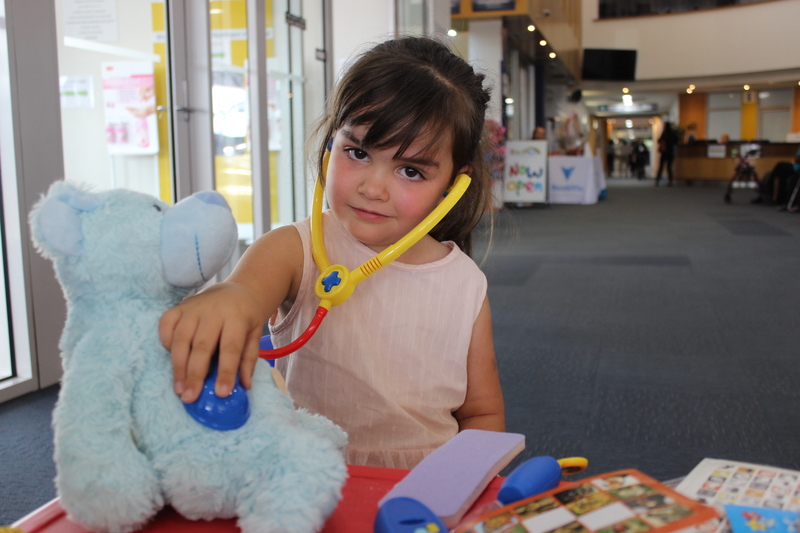 The Northern Hospital foyer was buzzing with kids, parents, Melbourne University students and teddy bears, for another ‘Teddy Bear Hospital’ day. This initiative, held four times a year at Northern Hospital, aims to help kids get familiar with hospital environments and some of the basic equipment, helping our youngest patients feel more comfortable when they come to see a doctor. The programme benefits the medical students as well. Ashlee Frye, third year medical student at Melbourne University, says this programme helps them get used to talking to kids in a fun way. “For some medical students, talking to small children can be scary. We are used to seeing healthy children, so opportunities like this can help potentially seeing and picking up on changes in behaviours, recognising symptoms and similar. We have to know what is normal first, to be able to pick up on abnormal,” she said. Wei Qi Fan, Head of Neonatal Unit Northern Hospital and Associate Professor in Paediatrics at Melbourne University, said that both parents and children come to hospital stressed and anxious, and the teddy bear activities are here to help them familiarise, not only with the environment, but also with the stethoscope, bandage, blood pressure equipment and similar. “The children who familiarise with the hospital this way find it less scary. While the kids get over the fear of the doctors, the medical students learn to engage with kids of different ages and to communicate both with kids and the parents. The mutual benefits are huge,” she said. The medical students involved with the Teddy Bear Hospital are currently on their paediatric clinical rotation, in their third clinical year, and this is their first time to get in direct contact with the children.